Unlike most camps, Space Camp isn’t the final destination. You go here to prepare for what’s out there. Places like VB-82 — a mysterious, uncharted world outside Sector 1-9 Alpha. 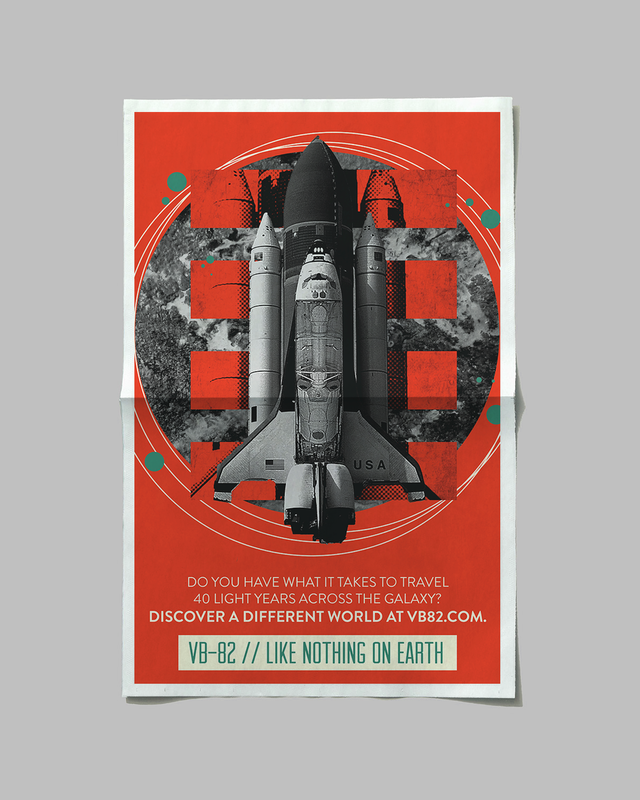 A travel brochure sent to prospective campers (specifically ones in STEM schools) will tease VB-82, providing a small glimpse of what life might be like in this strange world. The mailer includes a custom patch for future VB-82 explorers. “Recruitment” posters are sent to schools. Space Camp instructors will travel to nearby schools to sign up a new wave of “crew members” who want to learn more about VB-82 and space travel. They’ll hand out astronaut food samples and sign kids up for the Space Camp newsletter. We’ll strategically place “travel” billboards on the highways in and around neighboring cities, like Atlanta, Birmingham, Memphis and Nashville. Social posts targeting school-age children will encourage curious minds to imagine a world outside their own. To showcase the unique atmospheric conditions on VB-82, we’ll release a series of preset filters for kids to download and apply to their own Instagram photos. A simple animated video will run on popular science and engineering videos for kids, such as MythBusters and Science Max. VB82 YT Preroll from Dina Zolan on Vimeo. We’ll create a Google Maps page for Space Camp that will show information referencing it being the training grounds for VB-82. 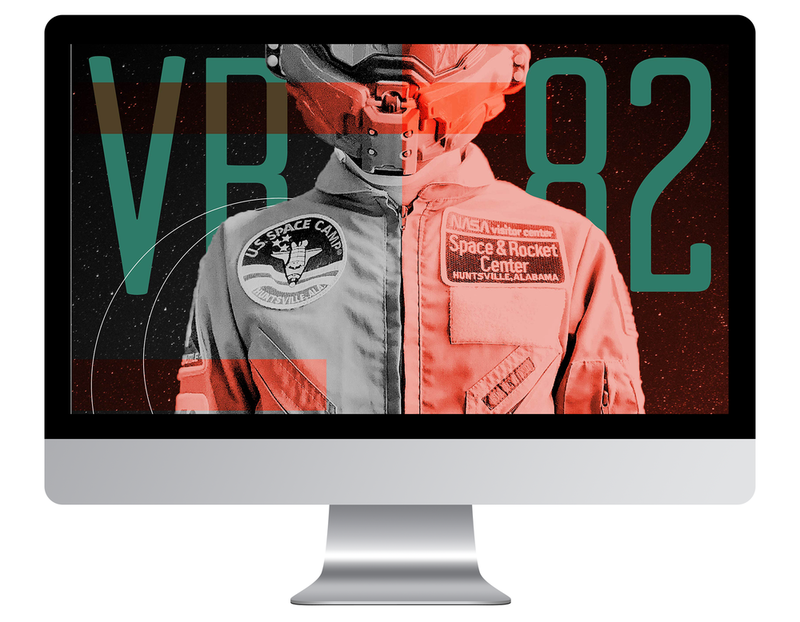 All ads will ultimately push viewers to the VB-82 microsite, where we’ll reveal that Space Camp is the first step toward a much bigger universe.